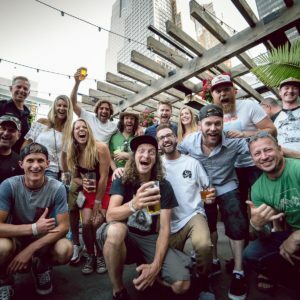 By working together we can build more great waves faster and improve river surfing for everyone. 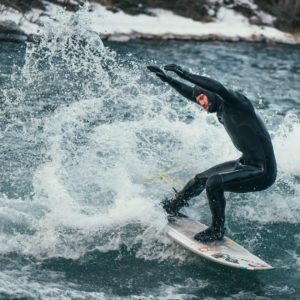 We are constantly increasing our library of resources to make river surfers more effective and to improve all our river surfing lives. 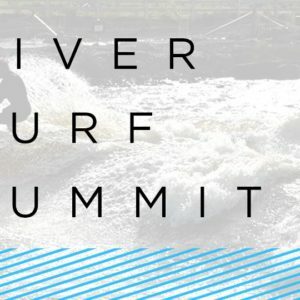 Contact us for information on any of the resources, to help create more valuable resources or to get help on your river surfing issues. 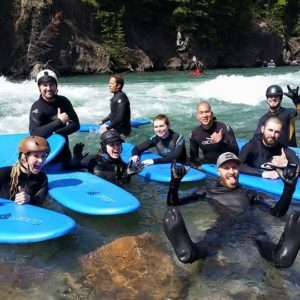 Below is a partial list of resources available through Surf Anywhere. 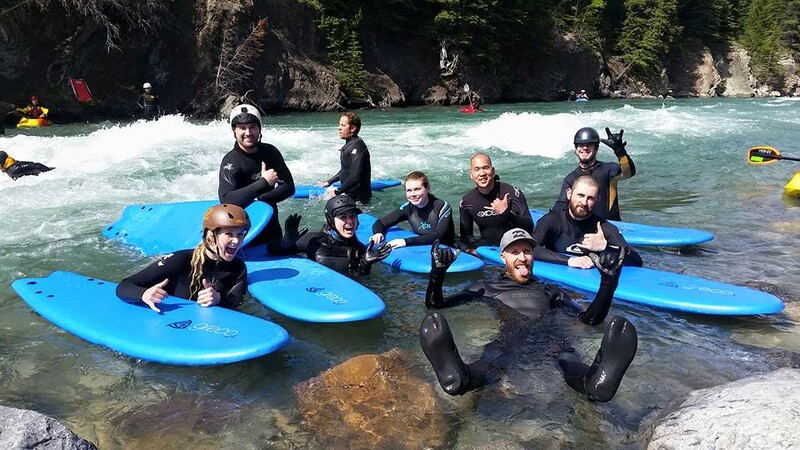 We are always producing more resources as we work with river surfing communities around the world and help them improve their surfing lives. We are working on providing these resources in other languages. 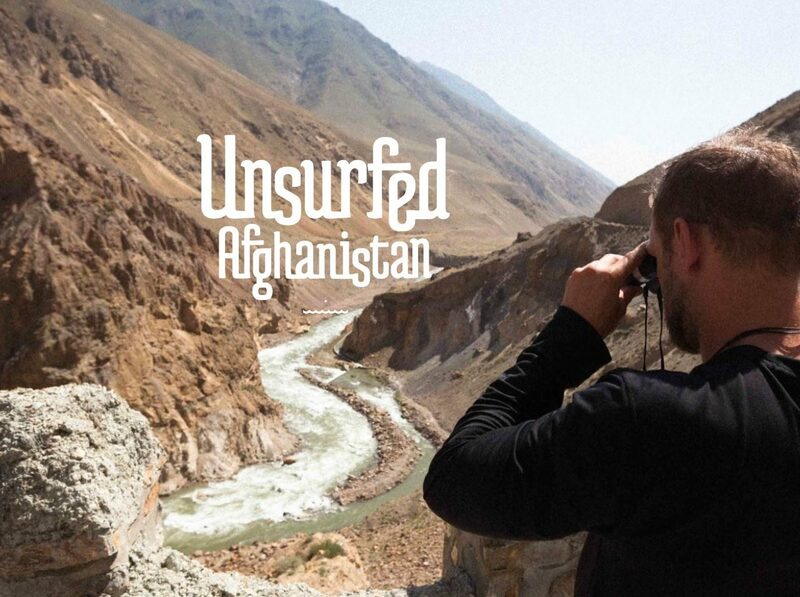 If you would like to use the resources or have questions, please contact us. 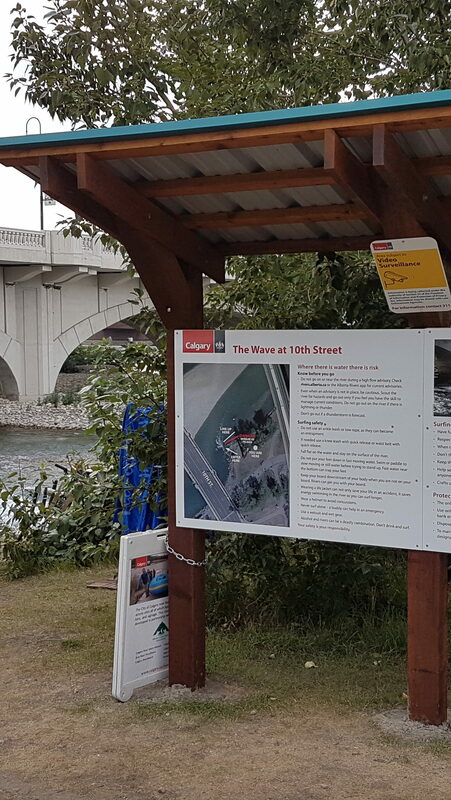 Summaries of a wide range studies on the economic impacts of river surfing, river surfing waves and whitewater parks. River surfing waves can have big positive economic impacts. 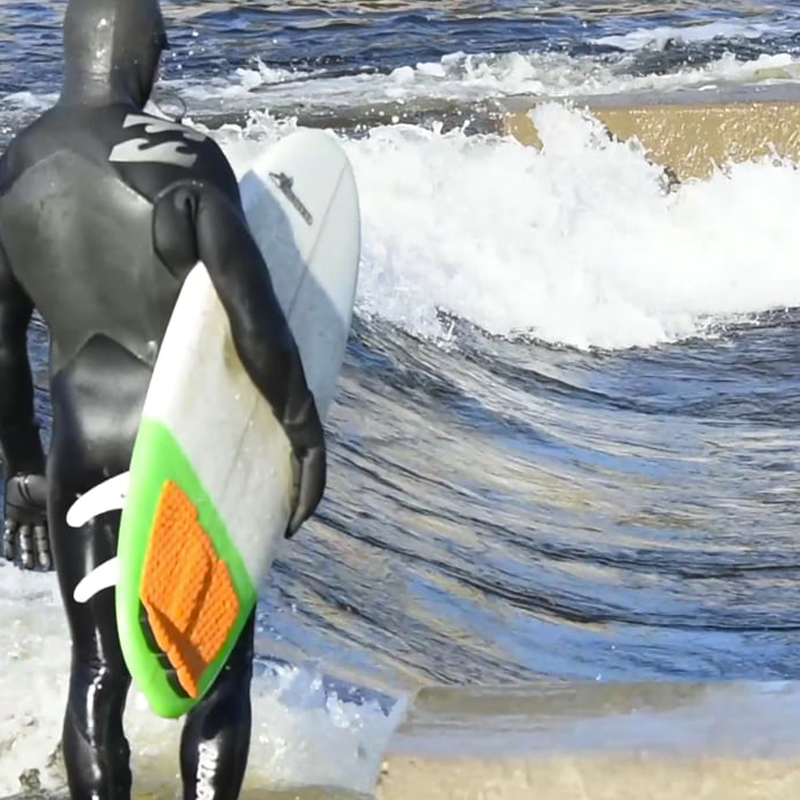 To build a good river surfing wave you need a good location. 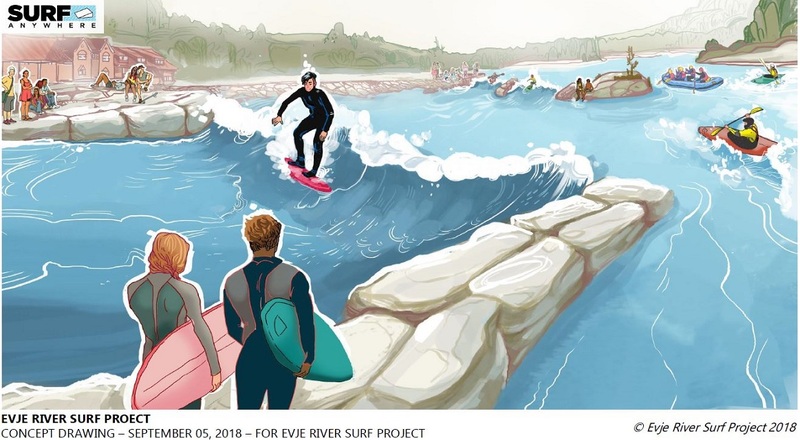 A really good spot for a wave has the river conditions required to make a good wave and it will receive lots of public support. 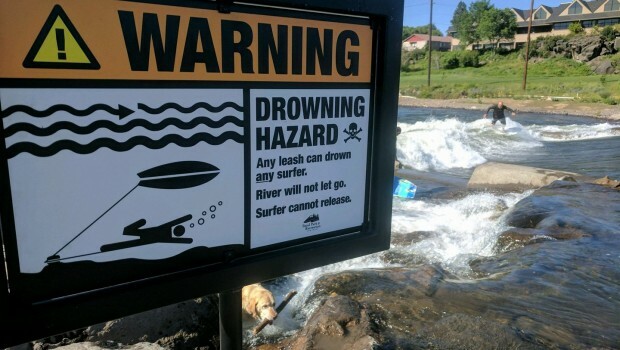 A bad spot means a wave will be impossible to build either due to river conditions or strong resistance. 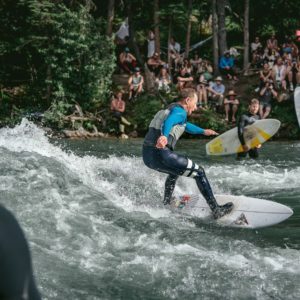 This article details what makes a good river surfing spot and provides some tools for finding them. 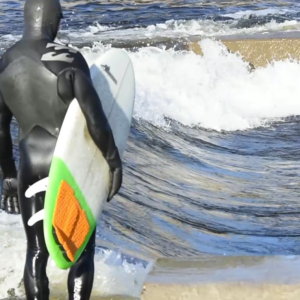 A list of questions that help us determine if the spot you selected is good for a river wave. 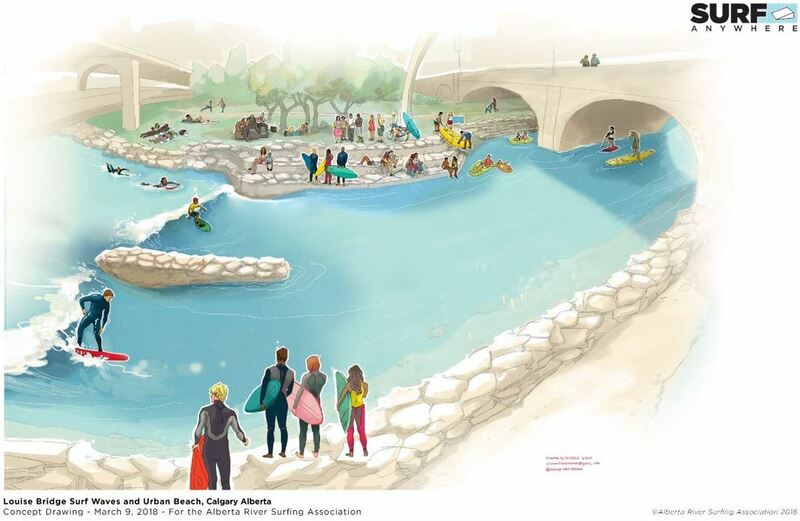 Many of the same concerns and questions come up every time a community engages in a wave building project. 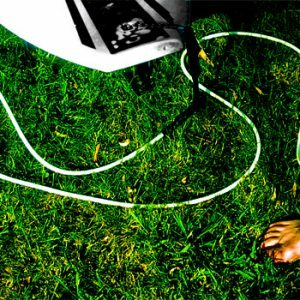 This document provides some good and simple information that will help educate people and avoid or overcome their concerns. 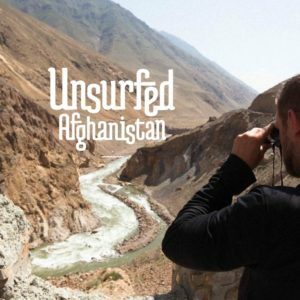 A beautiful booklet for communicating with governments, communities and potential supporters. 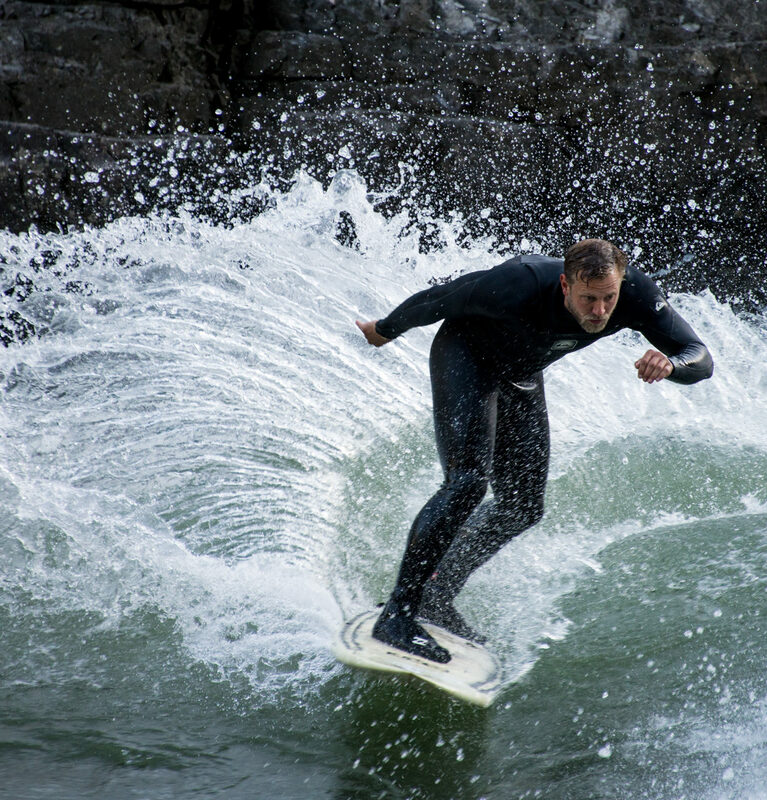 The booklet provides an introduction to river surfing, river surfing culture, the various benefits, how waves are built and how Surf Anywhere helps build waves and communities. 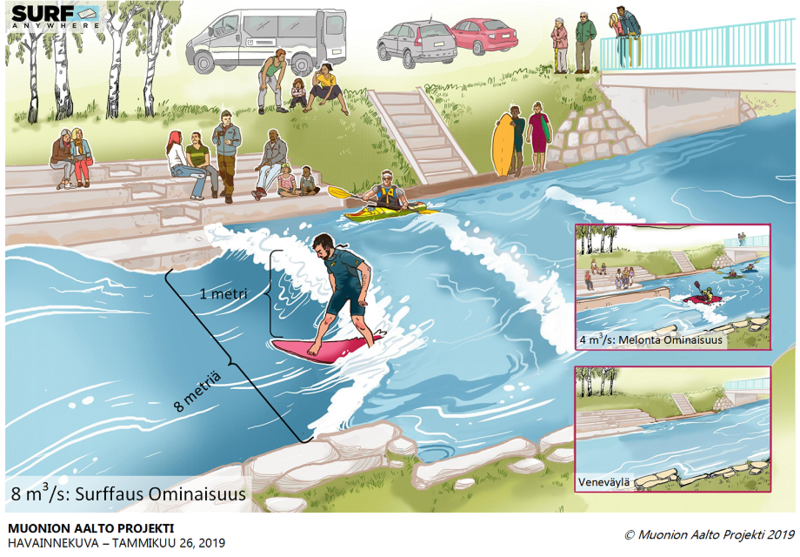 This is an overview on the opportunities and concerns related fish habitat, fish passage and boater passage when constructing new river surfing waves. 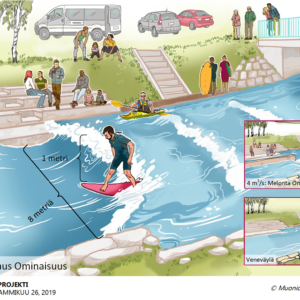 The comments draw on the referenced studies of fish passages and recreational waterparks, extensive review & testing of existing river surfing waves and a long history of building great river surfing waves in rivers. 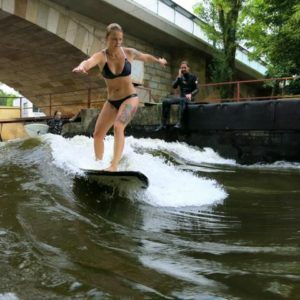 This video is a call out to build local river surfing waves and a great introduction to river surfing around the world. 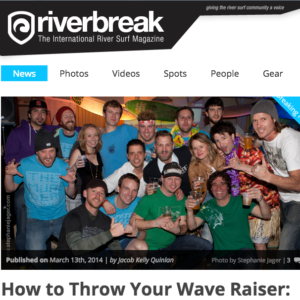 Information on what is a River Surfing Association (RSA) and the benefits of creating one. 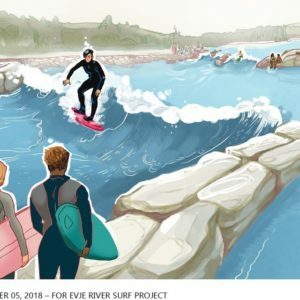 To build a river surfing wave the local river surfing community needs to build public support, raise funds, convince local government to build and always push for the project to have good river surfing waves. 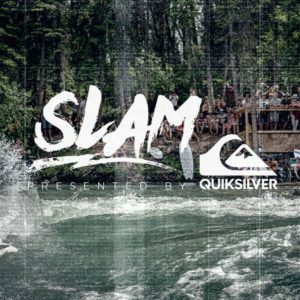 This draft documents provides an action plan for River Surfing Associations taking the group from the dream of a wave to surfing their wave. 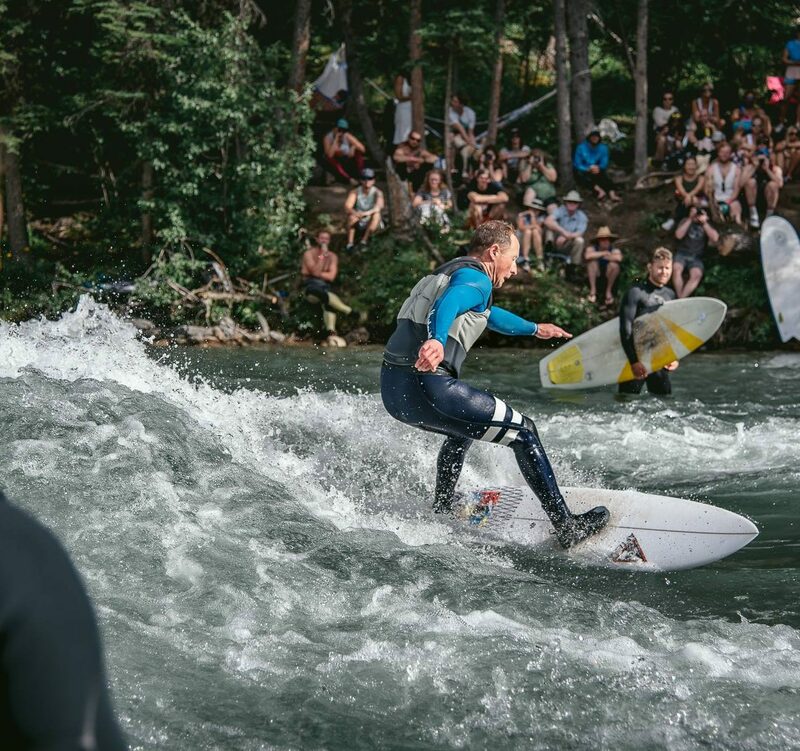 This draft documents provides details of a variety of events that any River Surfing Association can use to build community strength, raise funds and build broader support. 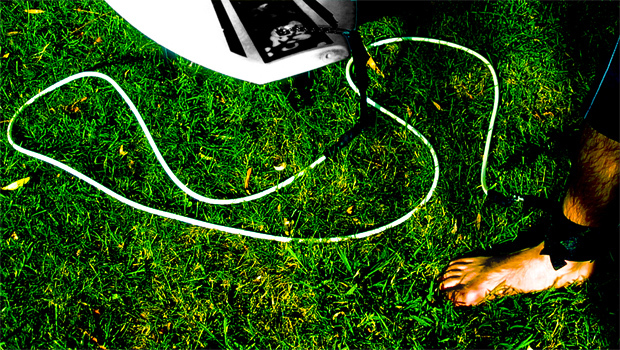 By-laws are the rules that govern how a group functions. 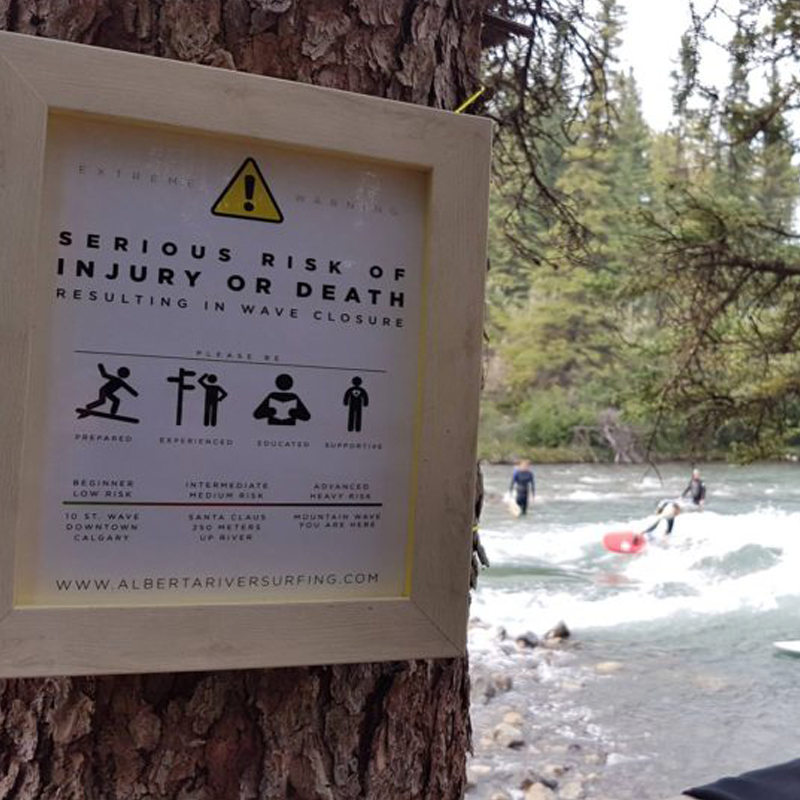 These example by-laws are from an existing river surfing association. 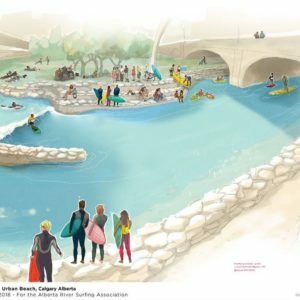 Each region will have their own government requirements regarding their by-laws and these by-laws will need to be adjusted to meet those requirements. Conflict of Interest policies are often required when forming a organization. 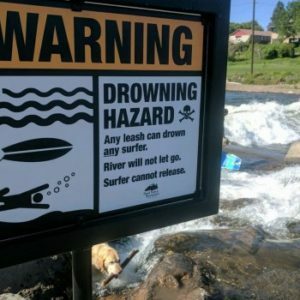 This is an example policy from an existing river surfing association. Each region will have their own government requirements regarding conflicts of interest and this policy will need to be adjusted to meet those requirements. 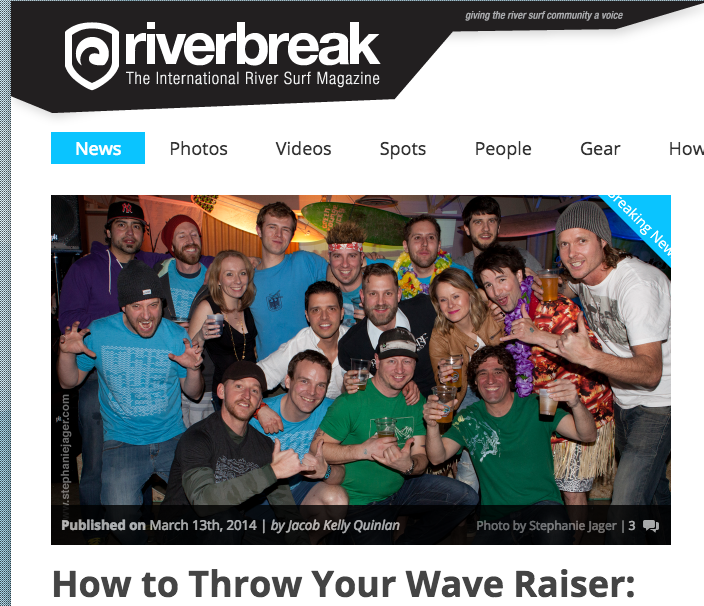 We are able to provide the framework for a River Surfing Association website. 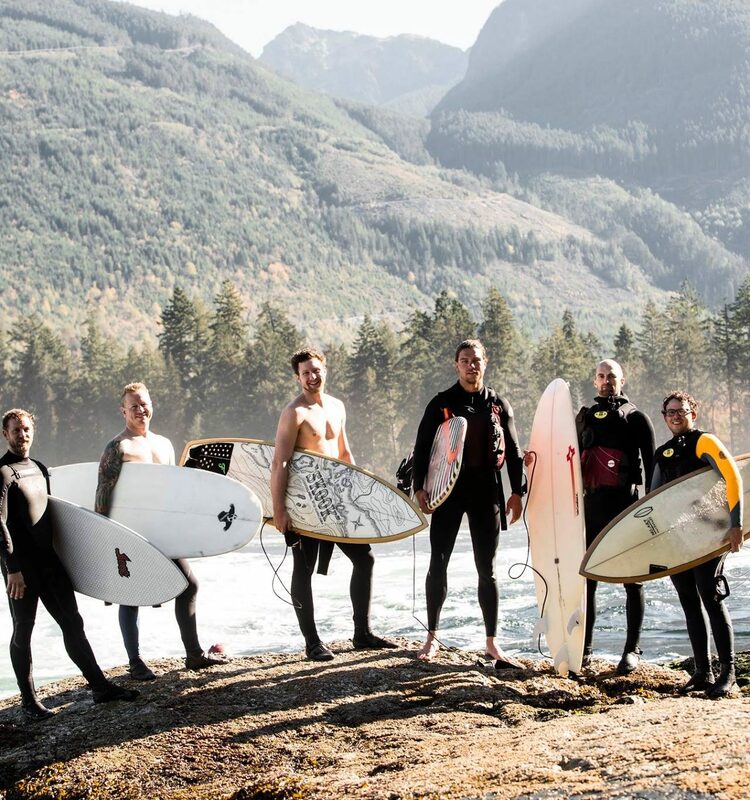 The layout offered is already in use by a river surfing association. 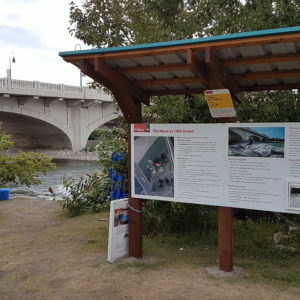 The layout includes general river surfing information, river surfing safety details, equipment details, automatically updating flow information, governance details and more. 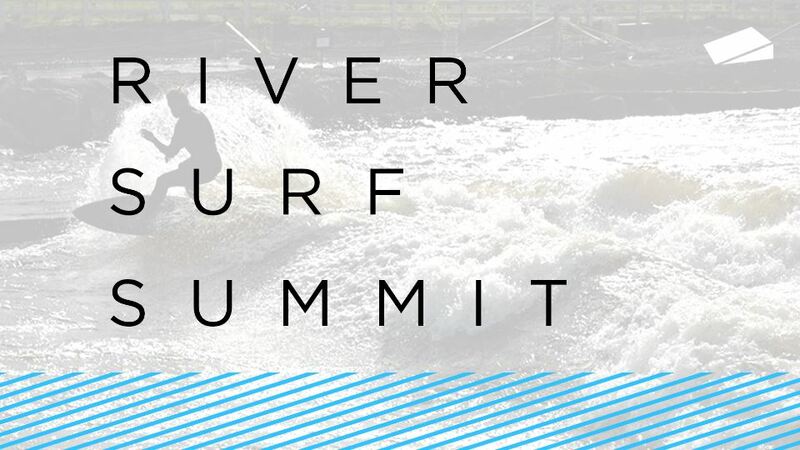 These are the results numerous river surfer surveys done in a variety of surf communities. 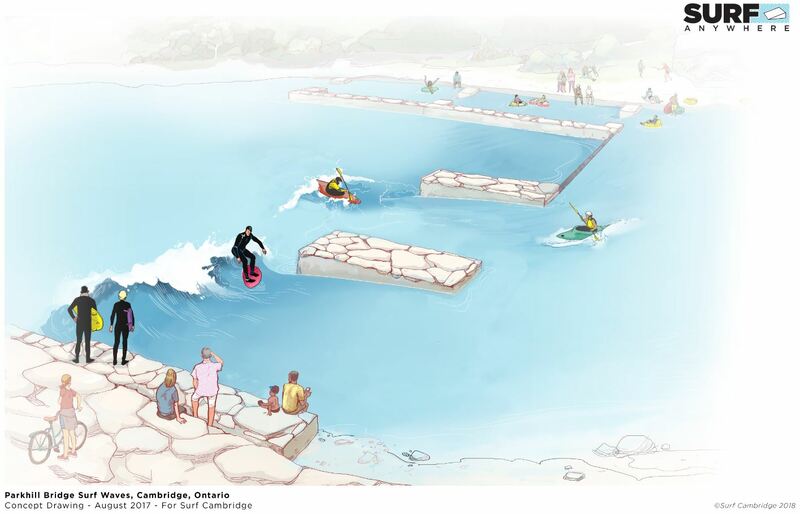 The surfers include standard demographic information and what the surfers in each community want. All survey data is anonymous. 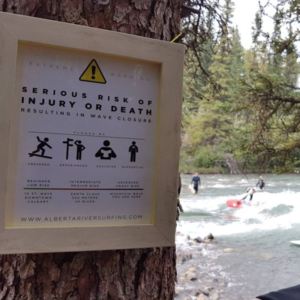 This document details the common river surfing hazards, explains common surf gear and provides links to other safety resources. 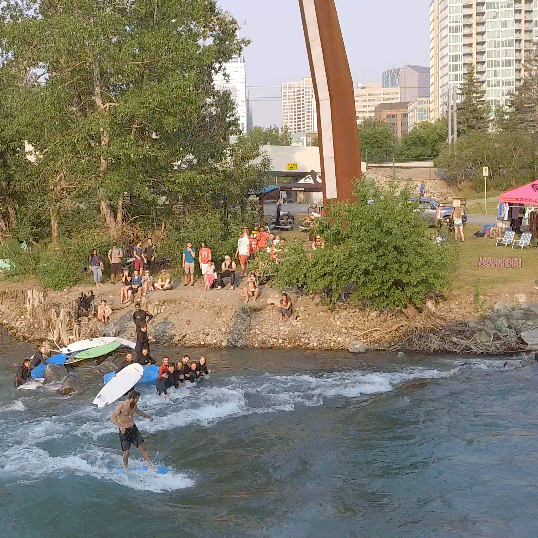 For over 10 years river surfing has been our passion. We have built waves, shared presentations with the world, made friends and did our part to make the world a better place. 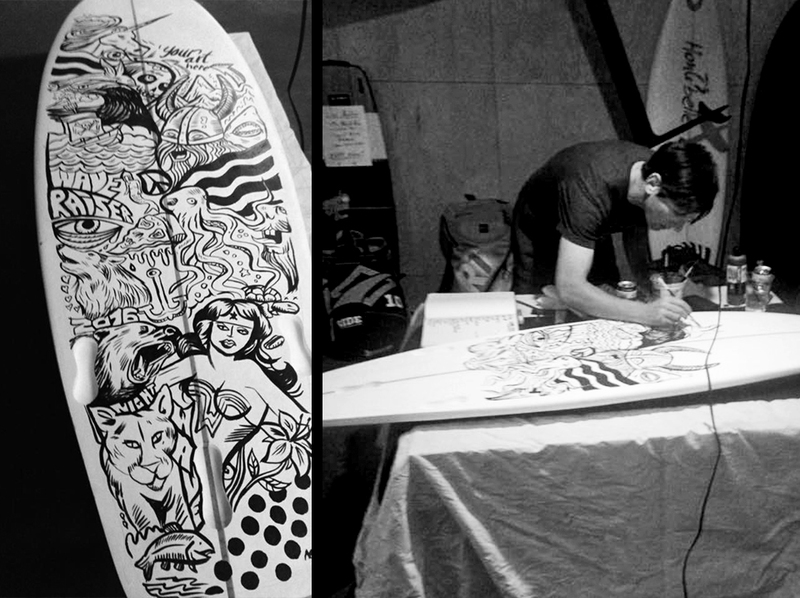 There is no limit on a dedicated group of individuals committed to doing what they love. 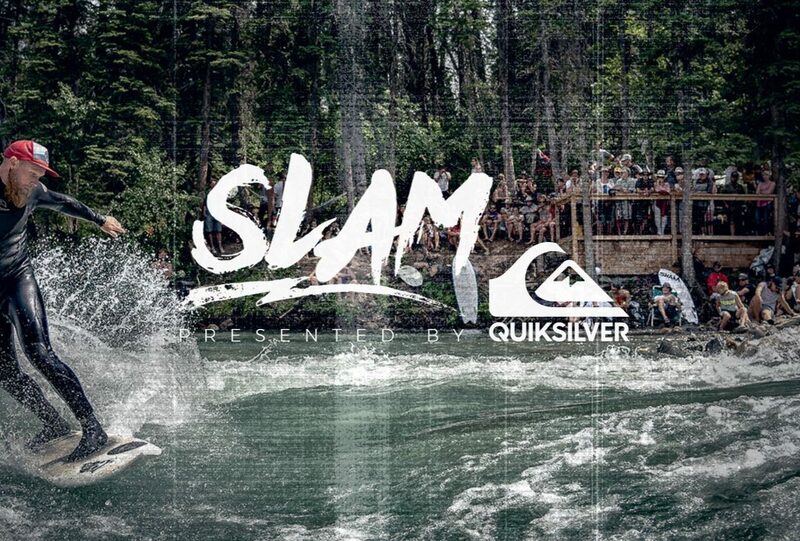 Start a project with Surf Anywhere. Try reaching out and starting the conversation. 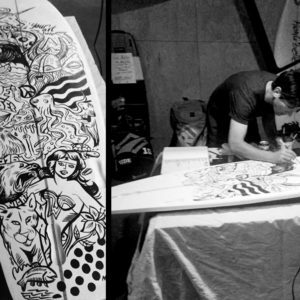 Whether you’re on your own, landlocked and surf stoked or you’re halfway through building a wave we’re hear to listen.